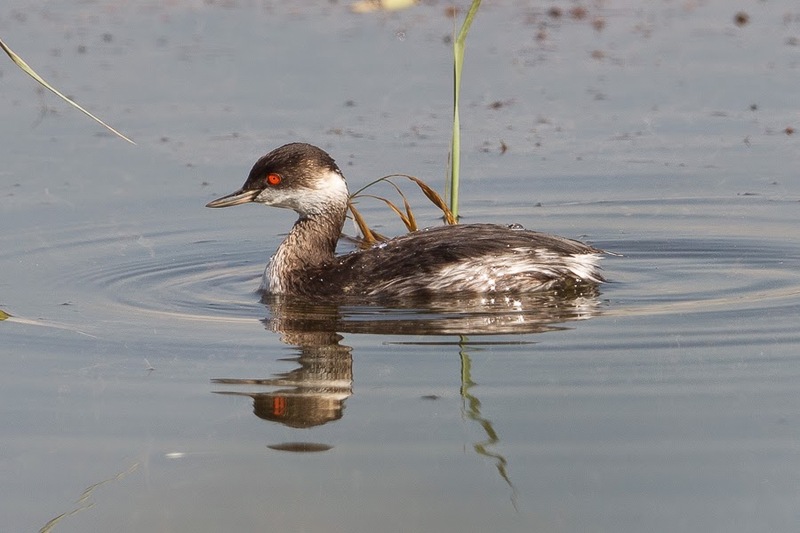 The Black-necked Grebe is an uncommon but regular visitor to the Eastern Province from late August through March but becomes scarce in April and May and rare in the summer. It is usually local in coastal waters but counts of over 40 are not unusual in Half Moon Bay. Small numbers occur inland with birds recorded rarely on the ‘patch’ where prior to this year I had only seen one bird on the settling pond. This winter two birds were seen in October and numbers have increased to five birds in December. 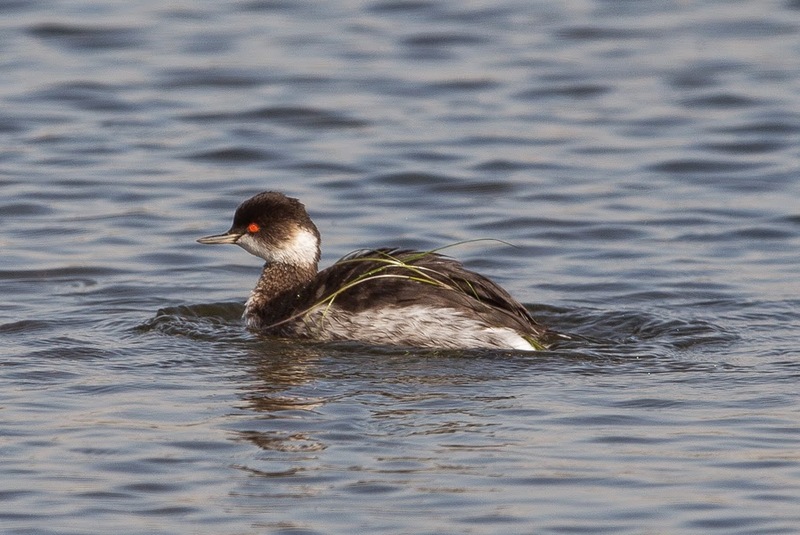 They spend much of their time hidden in the reeds but the last few days they have been venturing out into the open water. A few days ago I was lucky enough to see one close to the edge of the percolation pond as I was walking down the edge of the pond and took a few photos before the bird realised I was there and drifted further out to join its friends. Elsewhere in Saudi Arabia birds have occurred in Riyadh, Tabuk and the Red Sea, as well as in the Jizan region. Thanks for the kind words. 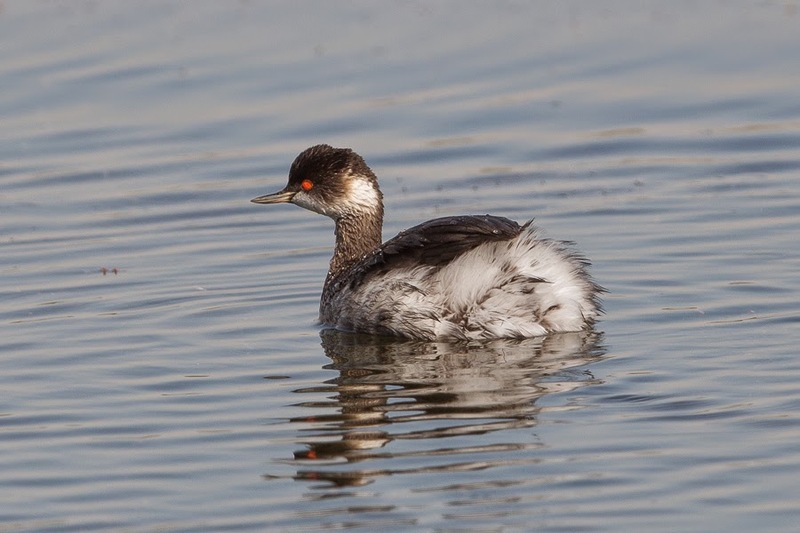 There is a similarity between the two species and I enjoyed getting good views of Silvery Grebe in Argentina when I visited many years ago.